From I-30, take exit 68 (Hwy. 205). Go north on Hwy. 205. Turn right on Yellow Jacket Lane. Yellow Jacket Lane dead ends into the stadium parking lot. 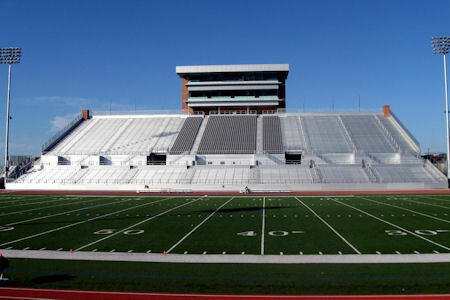 Stadium was renovated and expanded in 2009.